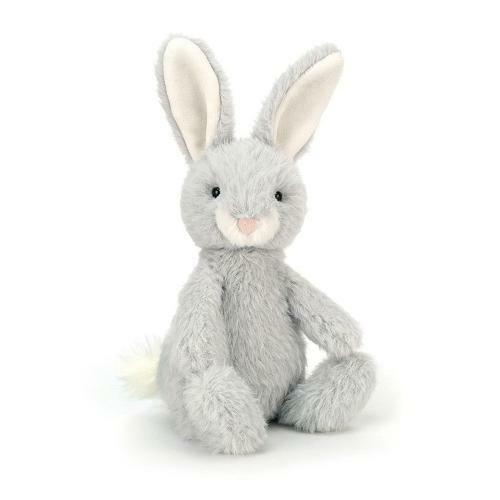 A bluey-pewter buddy, Nibbles Silver Bunny has soft, scruffly fur and two-tone jersey ears. This cheeky sweetie likes being carried about and cuddled close when it's time for bed. With a bonny bobtail, chunky paws and long, alert ears, this silvery silly's an adorable ally.